Dolce & Gabbana’s legal troubles have finally come to an end today as they have been found not guilty of tax evasion. It has been a long case for the design duo. Back in June of 2013, they were found guilty of the crime and were sentenced to serve jail time for a year and eight months. They took their case to a court of appeals, where they were again found guilty yet didn’t serve any jail time since a minimum of two years must be doled out in order for anyone to actually go to jail in Italy. 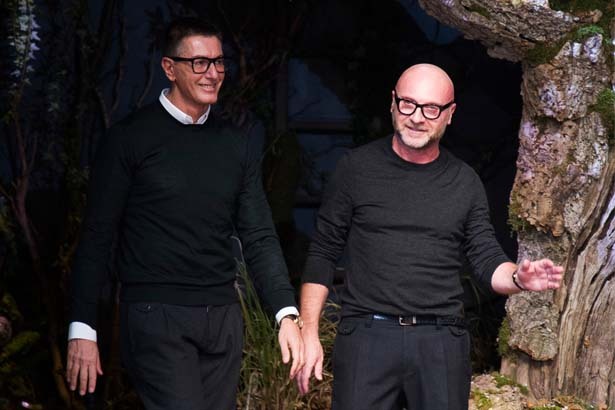 Dolce & Gabbana then took their case to the highest court, which today found that there was “no ground” for the case and set the designers free, according to WWD. Dolce & Gabbana’s lawyers argued that the pair were innocent of the charges, considering they handled the creative side of the business, leaving the finances to the experts. Any wrongdoing would not have been their fault, as they were too busy making dresses. No doubt, Dolce & Gabbana must be pretty pleased with this outcome.